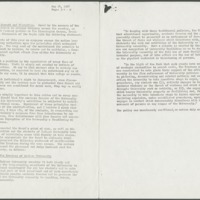 While the civil rights movement of the 1960s was most prominent in the segregated South, African-Americans faced difficulties throughout the US. 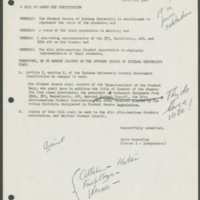 Indiana University at the time was populated overwhelmingly with white students, leaving the few hundred black students feeling disenfranchised and discriminated against. These feelings began to boil to the surface in 1968, particularly in the wake of Martin Luther King, Jr.’s assassination. 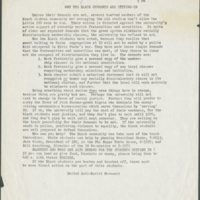 Led by a graduate student named Clarence “Rollo” Turner, black students at IU became increasingly vocal about issues such as lack of representation by African-Americans in University administration, low numbers of black faculty and students, and discriminatory practices in the Greek system. It was this last issue that would spark the most dramatic and successful protest by black students at IU during the 1960s. On Friday, May 8 a group of around 50 black students set up camp inside the stadium where the Little 500 was to be held the following day. 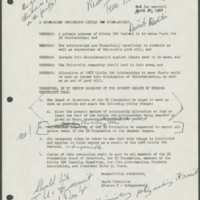 The group was led by Rollo Turner, Robert Johnson - president of the Afro-Afro-American Students Association (AAASA), and IU basketball player Kenny Newsome, and the main issue was discriminatory clauses in the national charters of fraternities on campus. 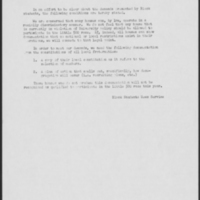 The students barricaded themselves within the stadium and let it be known that they would block the Little 500 race from taking place unless all involved fraternities provided proof that such clauses were either eliminated or would no longer be honored at IU. Armed and armored with sticks, helmets and improvised shields for defense, the students remained non-violent throughout the three day sit-in. 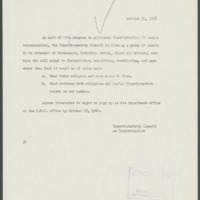 IU President Elvis Stahr, still smarting from the public backlash over the crackdown on the Dow Chemical protesters, encouraged the Greek houses to comply with the demands. 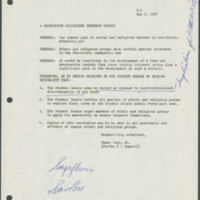 While the race was ultimately delayed by a day (due to foul weather as well as the protest) all but one of the participating houses agreed to meet the black students’ requirements. 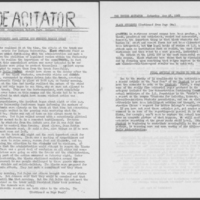 The Little 500 sit-in served as an example for other students of what a nonviolent yet forceful protest could accomplish.